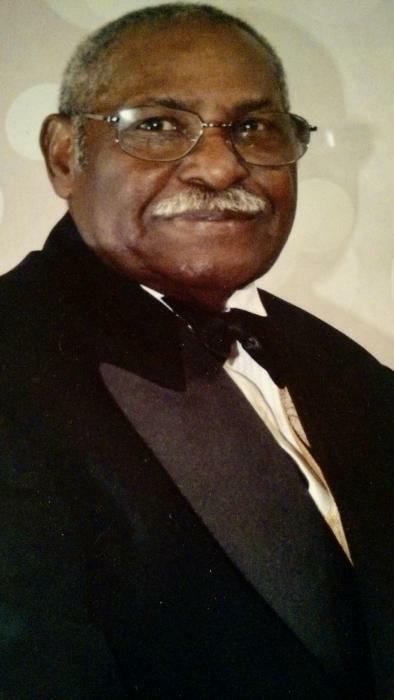 Obituary for Wilbert Calvin Wilson, Sr | Henry Funeral Home, P.A. Wilbert Calvin Wilson, Sr., 78 of Trappe died on Friday, January 11, 2019 at the University Of Maryland Shock Trauma in Baltimore MD. He was born on February 26, 1940 to the late Noah Maurice Wilson and Alice Ophelia Banks Wilson. He was affectionatley called Calvin and Pop to many. Wilbert was educated and graduated from Robert Russa Moton High School in 1959. Wilbert had an extensive work and employment background that included working with Charles Adams, Miles Sheet Medal, Graft-Con Company, Acme, R Nelson Auction and Celeste Industries where he just celebrated 40 years. Wilbert joined the Kingdom Hall of Jehovah’s Witnesses in 1975. Wilbert loved to work with and for his family. He loved to build anything for you and also with a smile. He loved to fish or just drop the fishing pole in the water. He also loved to make his rounds and visiting his friends and really loved to travel. There were trips to Alaska, Bethlehem, Egypt, Greece, Italy, and Jerusalem, and the Caribbean.The best trips were taking his grandchildren and great grands to Disney World. Wilbert leaves fond memories to his wife, Marilyn (Ann) of 53 years; 2 children: Wilbert Calvin Wilson, Jr., of Trappe and Marchelle N. Wilson of Greensboro MD; 8 Grandchildren: LaShyra D. Wilson, A Shyrra D. Wilson, Ashley C. Wilson, Wilbert C. Wilson III, Tavante Finney, Dwayne Tate, Tamera Finney, and Adrian Hardy; 11 great grandchildren: Kiyonna Cecelia Waters, Zavion J. Wilson, Zaiden J. Banks, Zaiden Williams, Zhayne J. Wilson, Liam Patrick Wilson, Alaisa J. Pinder, Rimere Dodd, Brielle Dodd, Micah Dodd, and Keeyona Fisher-Tate; 3 brothers: Quentin Wilson (Bertha), Francis Wilson (Florence), Herbert Wilson, 2 sisters: Tamsey Miller (James) and Mable Greene; 5 Sister-In-Laws: Helen Newcomb Cherry Lou Langley, Yvonne Allen (Willie), Ella Mae McDowell (Larry), Leona Hayman (Glenwood), Brenda Lee Nichols-Brown (Wayne); 14 Neices and 14 Nephews: Eunice, Lucy, Keasha, Sheree, Takia, Ciera, Lisa, Sheila, Fenolla, Francine, Dakota, Tiara, Georgetta, Dorthea, and Sylvia; Jamie, Edward, Tommy, Bernard, Demetrich, George Jr., Ray, Travis, Pierre, and Andre; One of his favorite Great Great Nieces Tyonah Williams and a host of 28 Great Great Nieces and 24 Great Great Nephews, Cousins and Friends. He is also survived by his special Celeste Industries family of 40 years, special nieces that he raised: Sheree Nichols and Takia Nichols, Brenda Nichols-Brown, Brenda Gaines-Blake and Brenda Scott-Wooden, Chris Ann Whittington, he affectionately called his daughters. In addition to his parents, Wilbert was preceded in death by son Patrick Rathelle Wilson; 2 sisters: Alice Camper and Vivian Roberts; 2 brothers: Norman L. Wilson and Edward Wilson; his special mother in law, Cecelia Johns, and 3 nephews.